As it continues to sustain impressive growth in the professional lighting, video, audio and effects markets, the ADJ Group is pleased to announce the creation of two key positions at its LA-based headquarters. 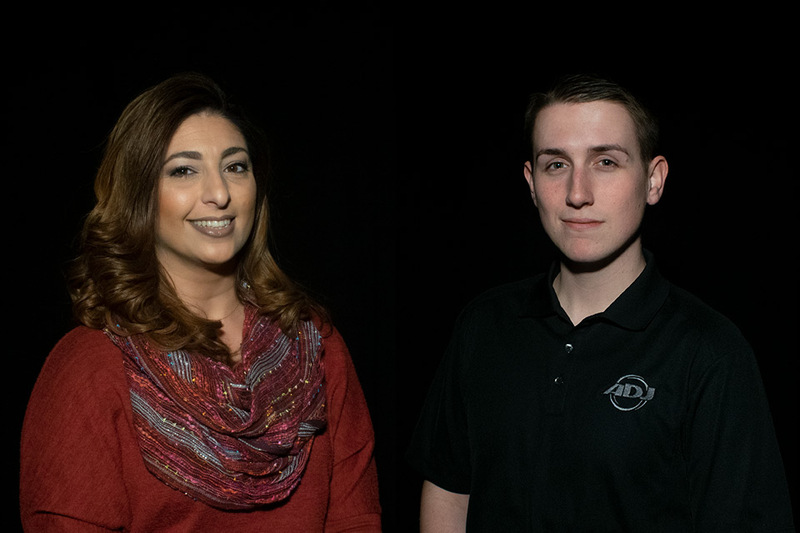 Shenor Sakadjian joins the group in the new role of Sales Coordinator, while Jake Rhodes takes on additional responsibility within the company as Product Specialist. Shenor Sakadjian – ADJ Sales Coordinator. Shenor Sakadjian has joined the ADJ Group in the position of Sales Coordinator. Shenor comes with over 20 years of retail and corporate experience as a buyer and customer service agent in the fashion, entertainment and hospitality industries. She will assist the ADJ sales staff as well as the ADJ dealer network with support in all aspects of the sales process from purchasing to fulfillment. She will help promote various projects at ADJ to encourage continuous internal sales flow, attend year round trade shows and generate business opportunities with both current and new vendors. Shenor will be a key team member inputting and tracking orders, providing marketing materials to customers and helping coordinate group open house and ADJ Road Tour events. Shenor’s outstanding customer relations experience, reliability and enthusiasm will be a key component in driving sales growth as she joins the ADJ team. Jake Rhodes – Product Specialist. Jake Rhodes, who has been with the ADJ Group for almost a year as ADJ Showroom Manager, has now taken on added responsibilities as ADJ Group Product Specialist. Rhodes is a recent graduate of California State University Long Beach, where he earned a bachelor’s degree in Technical Theatre with an emphasis in lighting. He also has experience as a roadhouse programmer, a theatrical master electrician and a lighting designer. Rhodes’ new role as Product Specialist with include product training and demos for company staff, dealers and consumers with ADJ’s moving heads, LED video products, stage lighting and control products. He will also work with the company’s R&D team to ensure products are ready for industry demands. Rhodes will attend company trade shows, road shows and training events as well as producing content for technical videos. Rhodes’ enthusiasm and knowledge for lighting will be a key ingredient to educating industry professionals about ADJ’s growing range of mid-market lighting products for stages, churches, nightclubs and live venues.